What is Slack and How Do I Use It for My Team? Since the advent of the World Wide Web, the opportunity for collaboration has been one of its most touted features. Enter Slack! 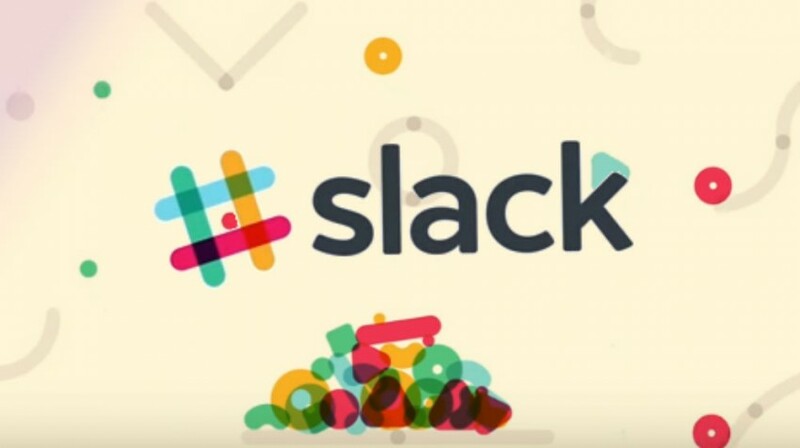 Here at Small Business Trends, we’ve seen online collaboration apps come and go, but few have caught fire like Slack. The innovative “team communication” solution offers groundbreaking functionality that is just too useful to pass up. So, if you’re asking yourself, “What is Slack and how do I use it for my team?” read on and we’ll give you the 411. There’s a lot under the cover here however, so let’s start with a look at Slack’s base functionality. Notifications can be a tricky feature: too many and you start ignoring them; too few and something might slip through the cracks. 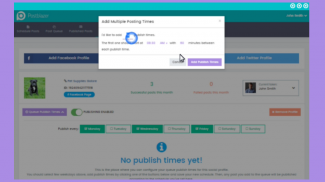 Slack enables you to fine-tune your notifications (by channel, keywords and more) so you can focus on your highest priorities. 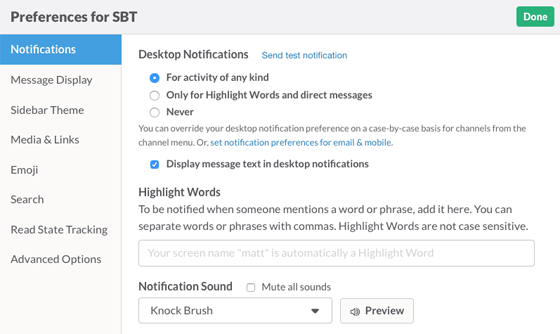 Slack provides robust preference features at both the company and individual level. This enables your employees to make Slack their own while you control the overall use of the solution. No matter where you go, Slack can come with you with their mobile apps for iOS, Android and Windows Phone (beta). At your desk, Slack offers apps for Mac, Windows and Linux (beta). You may be surprised to learn that Slack offers a “free to use forever” pricing tier. For small businesses, that may be all you need. 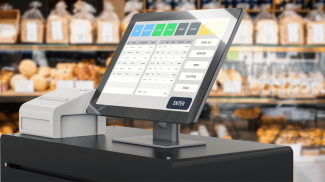 However, to truly make the most of the solution, they offer reasonable per-user pricing at both monthly and annual rates. 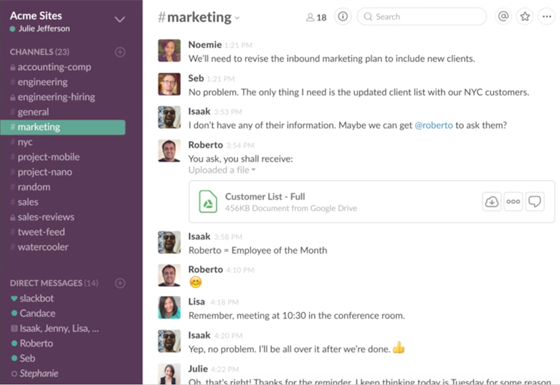 Integration is what takes Slack from a normal online instant messaging and collaboration system to a solution that enables you to centralize all your notifications, from sales to tech support, social media and more, into one searchable place where your team can discuss and take action on each. 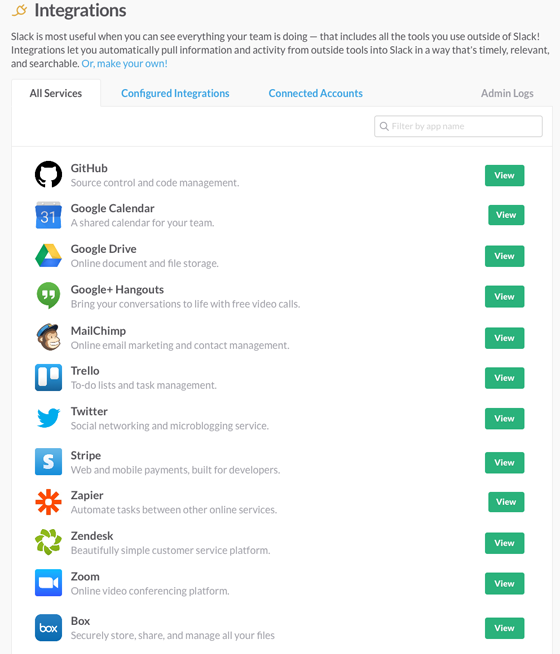 If This Then That (IFTTT) and Zapier: You can use both IFTTT recipes and Zapier zaps to integrate Slack with many more systems and solutions. 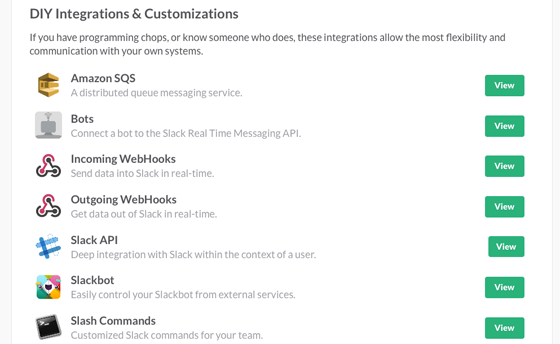 Currently, there are over 500 ways to extend your Slack integrations. We’ll discuss these further in a bit. When a campaign’s sending status changes. Pretty slick, eh? And that barely scratches the surface of how you can use Slack for your team. How Do I Use Slack for My Team? Staff kicking off a Zoom webmeeting directly from Slack when an impromptu face-to-face meeting is necessary. 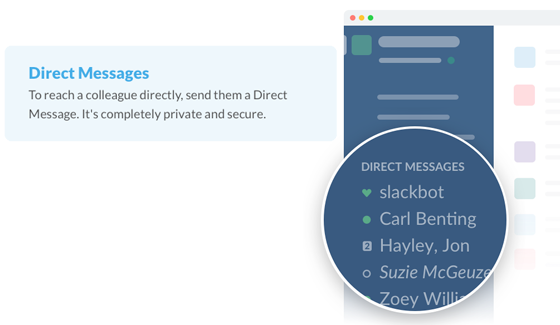 At first glance, Slack appears to be yet another online instant messaging and collaboration solution. However, a closer look will reveal revolutionary innovation under the hood. Integration is what catapults Slack into a category all its own. The solution enables you to centralize all your notifications, from sales to tech support, social media and more, into one searchable place where your team can discuss and take action on each. Now that’s collaboration for the 21st Century! I like the feature. What I don’t like though is the per-user pricing. Which means that it can get more expensive as more people use it. That may not be so good for a growing company. On the other hand, per-user pricing scales very well because a growing business can add-on seats as their revenue increases. Terrific write-up, Matt, especially with the screenshots to add context. TextStrong is similar to Slack, but for communication between businesses and customers. Since not every customer will download a new app just to talk to a business, TextStrong gives the business a standard SMS/MMS phone number *inside* of the TextStrong app. As far as the customer is concerned, she is texting a standard number. 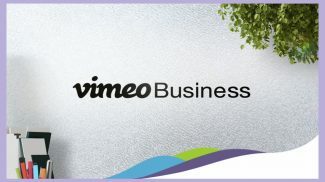 The business meanwhile gets rich app features such as virtual receptionist and important business controls for security. I won’t fill your comment with all the features but you can check it out yourself. Slack is a fantastic communication tool. It surely reduces the need for email and acts as a real-time collaboration platform. The channels are super flexible and allow for public or private communication strings focused on project specific or role specific chat. Meanwhile you can easily upload content like pdf or video. Big fan! 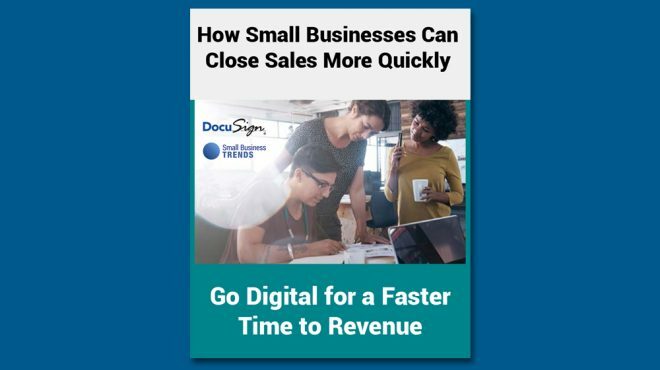 It’s right along side 2.0 tools like Box and Docusign as must-haves for the growing company! Slack is good. Additionally, you may also have a look at other collaboration tools like webex, R-HUB web conferencing servers, gomeetnow, gotomeeting etc. Nice article Matt! Been using Slack for a while and absolutely love it because it integrates well with Jira, Google docs among other things. I have three questions, Matt. 1. 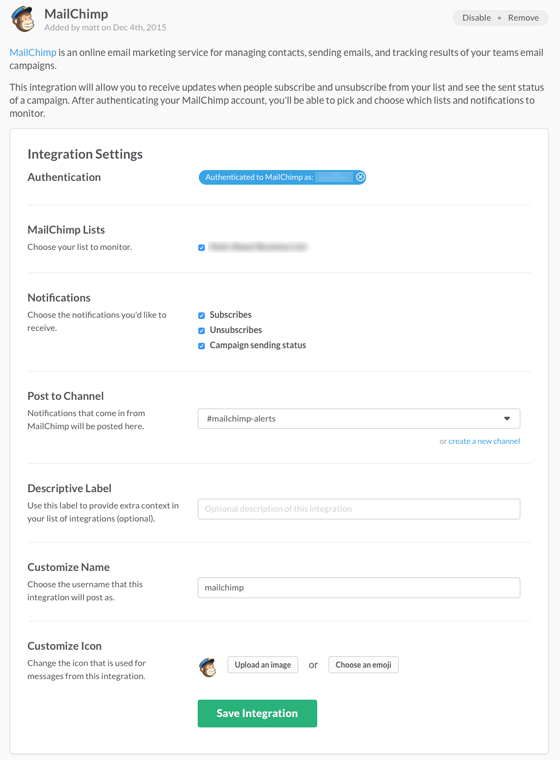 If S integrates with MailChimp, doesnt that beg the question > do you need Mailchimp? 2. If you still need an autoresponder service like MailChimp, will S integrate with GetResponse? to get in my way….!! Great article, I’m loving all the new Slack integrations!